This post is a some kind of reply to this one. So our goal is to determine whether our point process is random or not. We will use R and spatstat package in particular. 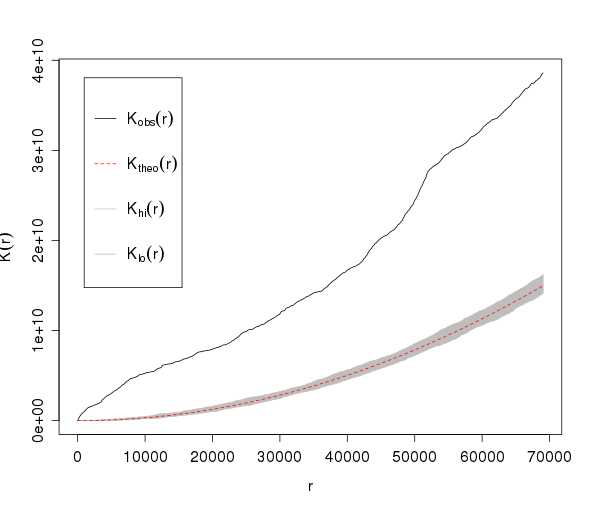 Spatstat provides a very handy function for this, that uses K-function combined with Monte Carlo tests. I will spear you from burbling about theory behind it - the necessary links were already provided. Lets get directly to action. In this example I will test data about location of my "favourite" illegal dumps in St. Petersburg and Leningrad region.